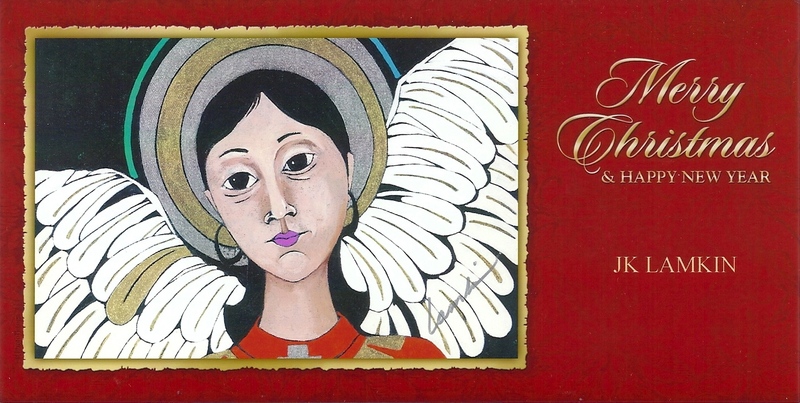 High school classmate J. K. Lamkin sent a beautiful Christmas card (as she does every year). J. K. Lamkin’s representational work shows a warmth and compassion of living within the land, rather that upon it. Non-objective, Lamkin’s work probes a highly emotional and intensely spiritual response to her world. It shows sensitive and dynamic introspection with a deep concern for the essence of freedom. Every color has a symbolic meaning.